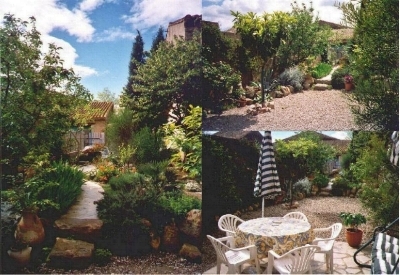 Holiday flat in south-west France. with its 2000 inhabitants, a genuinly Southern French village, surrounded by vines, is embedded between Canal du Midi and the Aude. In the Languedoc Roussillon, close of the old port Narbonne and Carcassonne with its Cité, offers the area innumerable possibilities for trips and inspections of the "Pays Cathare", for the history 11.und to 12. Century. By car, the Mediterranean and its idyllic "Etangs" are attainable in 40 minutes, the Spanish border in scarcely 2 Std. 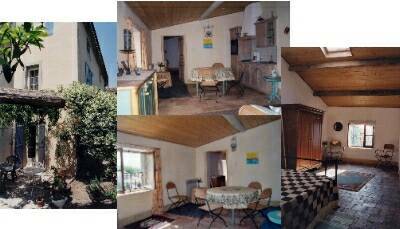 oak kitchen, 2 bedrooms with very good beds and a salle de bain. The garden with grill can be shared. All shopping possibilities with private shops are present in the village, good restaurants exists in the closer environment.